Have a marriage ceremony coming up to attend in Bangalore? Well, rest assured the city will charm you not just with its rituals and customs but also with its many sightseeing options. 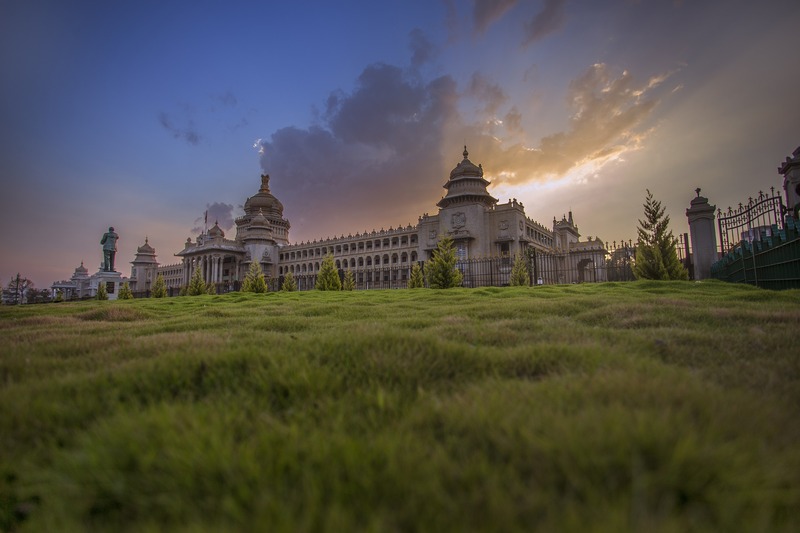 So just in case, you have a trip coming up for Bangalore here is our pick of top things to do while you are in the city. Shopping: MG Road is the central shopping and entertainment hub of the city. It is in line with various interesting eating and dining options as well as casual cafes, bistros, and nightclubs if you want to paint the town red. The stretch also boasts of almost all mega brands that you may want to explore while on a visit to Bangalore. National Park: Head to Bannerghatta National Park for some tryst with wildlife. Here you will spot lions, crocodiles, and various other wild animals. It also houses India's first ever butterfly garden. The best way to explore the place is to opt for a jungle safari. History: Mysore Palace now owned by the royal family of Mysore is known for its unique architecture and also historic significance to the city. It is one of the most prominent landmarks and is quite close to the city center. Botanical Garden: Lal Bagh, spread across a massive 250 acres houses some of the rare species of plants from France, Afghanistan and other parts of the world. It was completed by Tipu Sultan and is home to a Lal Bagh rock, which dates back to prehistoric times. The flora and fauna of the place are unparalleled. Temple: Do visit the Bull temple dedicated to Nandi, the bull vehicle of Lord Shiva. The magnificent bull structure that marks the temple is a delight to watch as well as an architectural marvel. It is also one of the better-known spots in the city and you may regret later not visiting it once, while you are there. Lake: Watch a sunset at Ulsoor Lake or take a short boating trip on it. It is the quiet place to relax if you want to escape the hustle of the city. The place is a spot of nature retained in its original charm in a city, which is fast becoming a mega developed modern hotspot with buildings and ever-increasing traffic. Mall: If modern day consumer spots are your idea of completing a holiday expedition then it is worthwhile that you spend a few hours in the mall for some recreation. The place besides being mega youngster hotspots also has great eating out options thus giving Bangalore a reputation of being a foodie's paradise too. Museum: The city also houses India's only aerospace museum. Part of the HAL Heritage Centre the museum opened in 2001. It houses displays of many airplanes, helicopters, fighter engines and what not. For those interested in aerospace this may be an ideal place to escape for a few hours and get lost in the wonders of the sky vehicles. May 22, 2018, 4:04 p.m.